Let your photos shine with this holiday photo card showcasing the best photos of the past year and your hopes, best wishes and love for the year to come. Our festive Christmas collage features up to 18 photos and includes holiday red text. Printed on ultra white premium paper, each card is 4 inches by 9.25 inches. No. 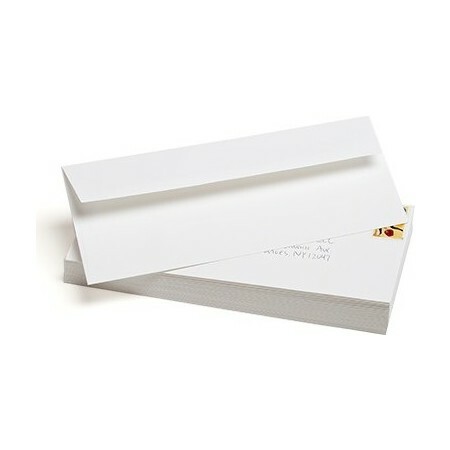 10 superfine ultra-white, eggshell finish envelopes are included to send your card in holiday style. 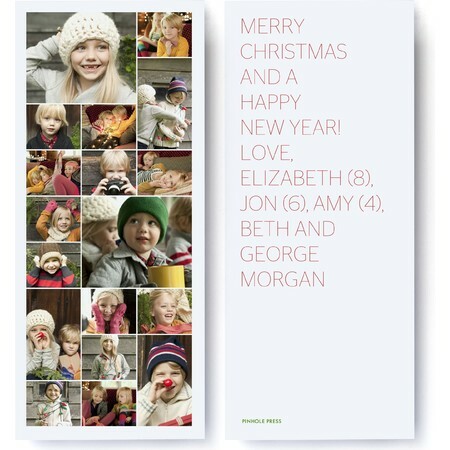 A custom Christmas collage card is the perfect way to wish Grandma and Grandpa, distant cousins, aunts, uncles and beloved friends a joyous holiday season and a happy new year. Ample space is included for a custom message to include your heartfelt wishes, such as current ages, loving sentiments and holiday greetings. A Christmas collage card from Pinhole Press is enough to make anyone smile. Send something different this year. Send a truly memorable Christmas collage photo card greeting with photos they'll treasure.